Most of us, when we embark on improving our health, would like to remain consistent in our goals: taking all our supplements, sticking with a new eating plan, getting our exercise, etc. Here at Medicine in Balance, we’ve found a new way to help with the supplement goals! This is to introduce Fullscript, the service we’ve started using to make it more convenient for you to obtain refills on supplements between visits. After you’ve been seen in the office, we input your information into Fullscript (just name, email address and what supplements we’ve recommended). You’ll get an introductory email, plus one with the list of what you should be taking. You can use this to order refills. The system can send you reminders so you don’t run out, or you can even set up automatic shipments if it’s something you know you’ll be on for a long time. The cost is similar to what we charge in the office (MSRP), plus shipping is free above a certain amount ordered. Please check out the service here. 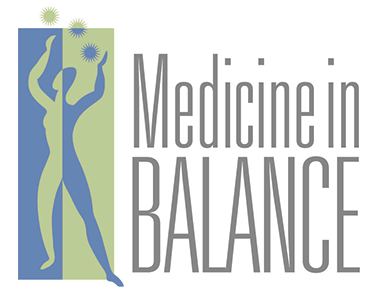 We’ll be adding folks to the system as you come in for visits, but if you want to get set up right away, please send an email to the office and we’ll take care of it as soon as we can (info@medicineinbalance.com). And don’t worry, if you don’t want to use this system, you don’t need to–feel free to pick up supplements at the office (best if you email ahead of time requesting what you want), or we can still ship them to you if you like. The only real downside to Fullscript is that it doesn’t contain every single supplement we carry, so some items will still need to be purchased through us. Just a note on buying supplements from Amazon or other big systems: they do NOT maintain temperature and humidity controlled warehouses, as the supplement companies do. This drastically effects the supplements themselves, so you should reconsider these purchases. Congratulations to the group who just completed our 3 week Liver Detox and Renewal! If you didn’t get a chance to join, please remember that our Detox Tea is always available, as is our Far infrared Sauna, and the Detoxing Lymphatic Massage treatments by Claudia Glugsburger. Here is just a tease of the next new thing I’ll be introducing soon: The Fasting Mimicking Diet. This is NOT the same thing as intermittent fasting (I have mixed feelings about intermittent fasting). The Fasting Mimicking Diet is based on several decades of research by Valter Longo, PhD and his team. It has been shown to improve immune function, lower insulin resistance, improve cholesterol and help cells regenerate. I’ll be doing a few rounds of this myself prior to initiating it with any patients; it requires 5 days of a very low calorie input per round. One might do a round once a month or only a few times a year, depending on one’s individual needs. Once I see what it’s like and how much my own immune markers improve, we’ll talk! In the meantime, check out the research in Dr Longo’s book.